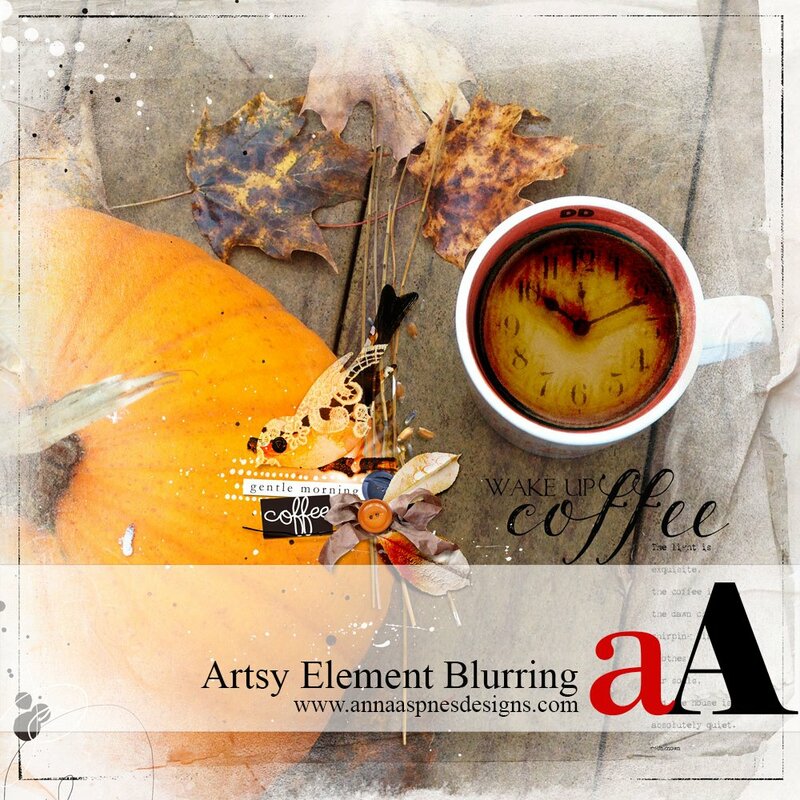 As part of a new fall series, Creative Team Member Miki shares her Blur Artsy Elements Tutorial + Coupon and her Morning Coffee layout created in Adobe Photoshop. It’s October and I still love sitting on the deck with my cup of coffee on crisp autumn mornings. Create a New File at 12 x 12 inches and 300 dpi resolution. Open and drag your digital paper onto the layout using the Move tool from the Tools panel. 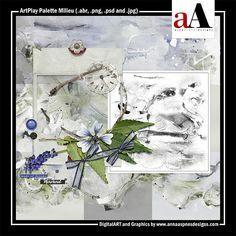 I used ArtsyPaper1.jpg from ArtPlay Palette Gentle Morning. 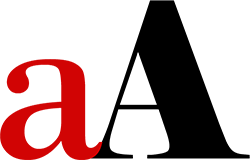 Select a FotoBlendz clipping mask in the size and shape of preference. 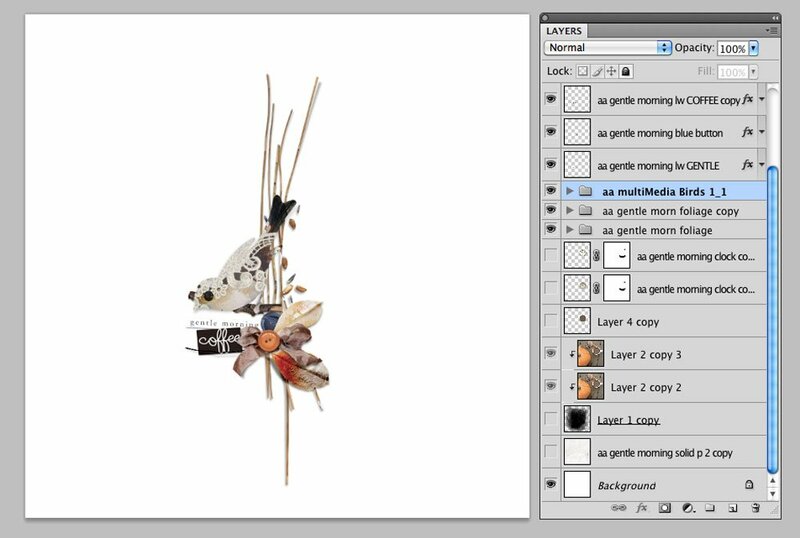 I chose a clipping mask from 12 x 12 Page FotoBlendz No. 9. Place the mask layer on the page and resize as needed. Clip your photo to the mask using the clipping mask function in Adobe Photoshop (CTRL + ALT(OPT) + G). 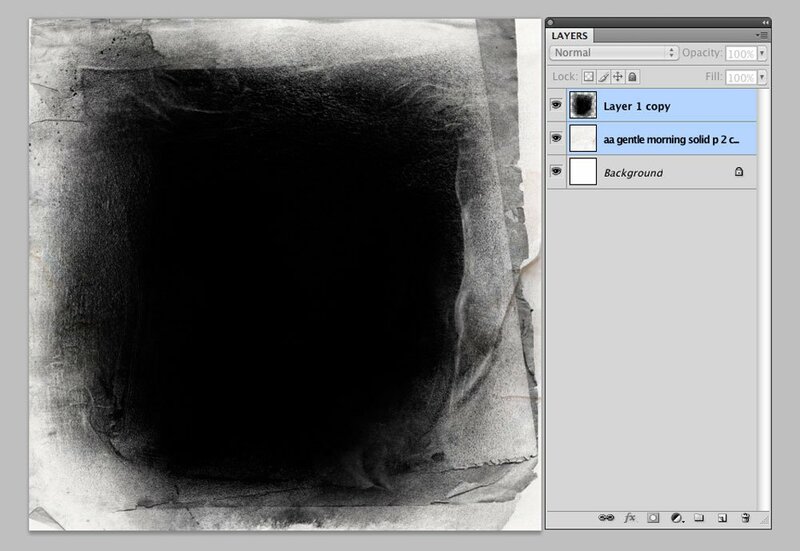 Duplicate the photo as preferred, apply a Hard Light Blending Mode and make Opacity adjustments to brighten your image. Create an Artsy Element Blur. To add a blur to the clock I applied the Shape Blur located in the Filters menu (Filters >Blur>Shape Blur). 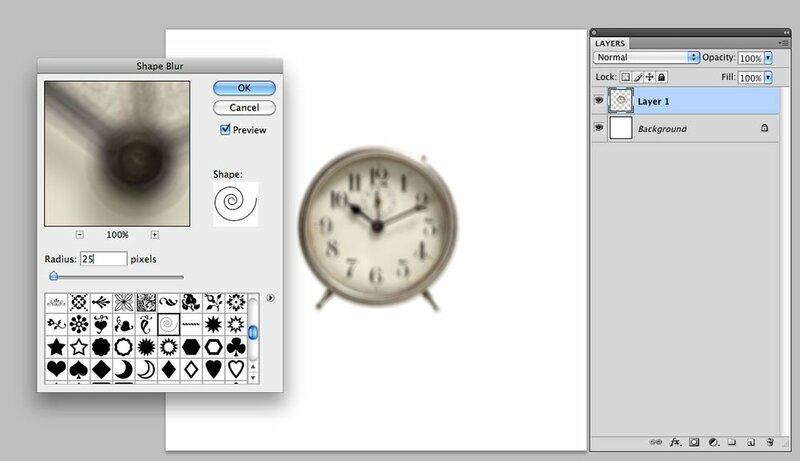 Select the spiral shape and experiment the amount of blur by sliding the Radius slider. Note that different shapes give a different type of blur on the image. I wanted the numbers still readable, but slightly off, and so moved the radius slide to 25. 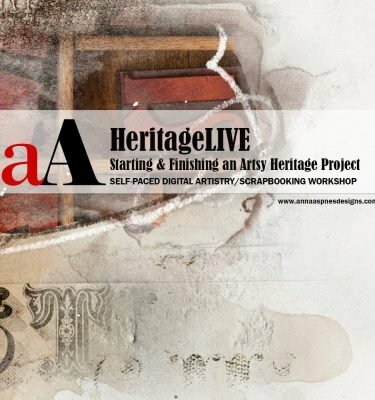 Apply a Layer Mask as need to make edits to the image using the Paint Brush tool. I applied a Layer Mask and brushed out the legs of the clock using a small round brush (Layer Menu >Layer Mask >Reveal All). 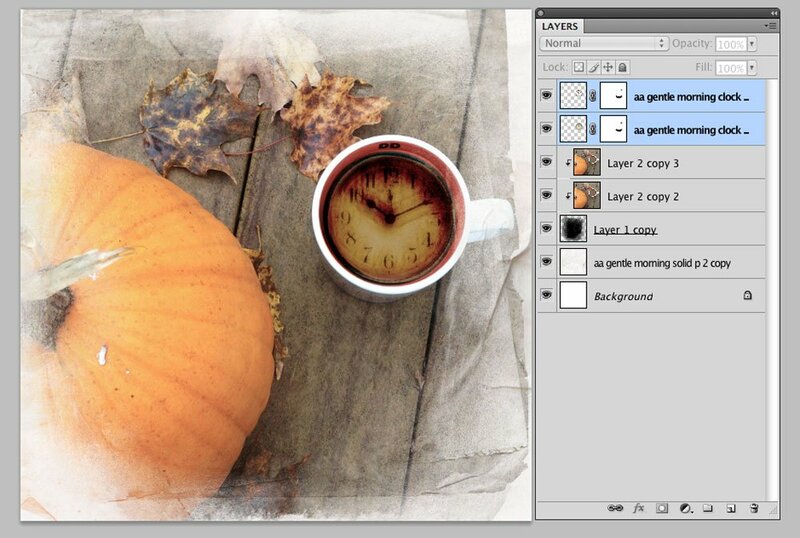 The clock was layered over the coffee cup with the Blending Mode in the Layers panel changed to Color Burn. Create a Cluster. The cluster was created by layering and overlapping embellishments. 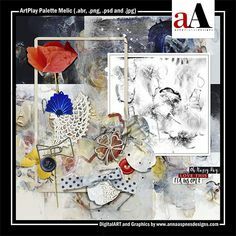 Buttons, a ribbon, foliage and label words, from ArtPlay Palette Gentle Morning, were layered over each other using the Move tool from the Tools panel. When creating an element cluster, you will want to start with the larger objects on the first layer and build up. 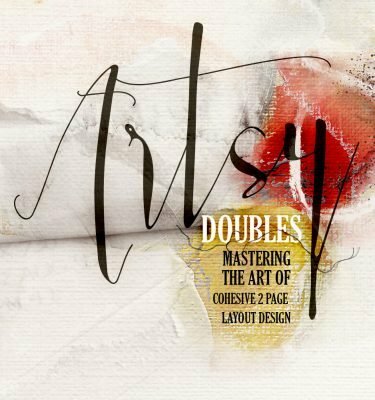 Add drop shadows to your embellishments (Layer>Layer Style>Drop Shadow) to yield realistic dimension. 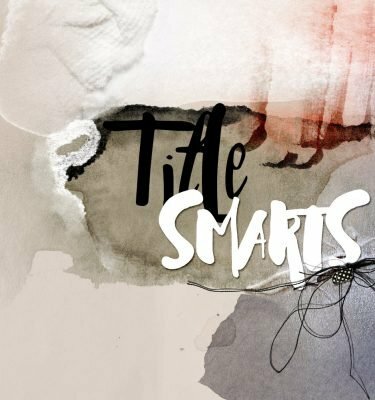 Applying different Blending Modes to elements can also create depth and transparency. 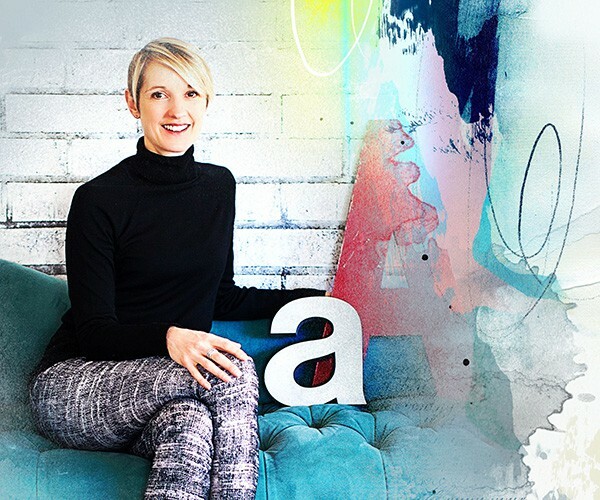 Use embellishments with colors that compliment and support the photo. Include a selection of neutral colored element to create balance. 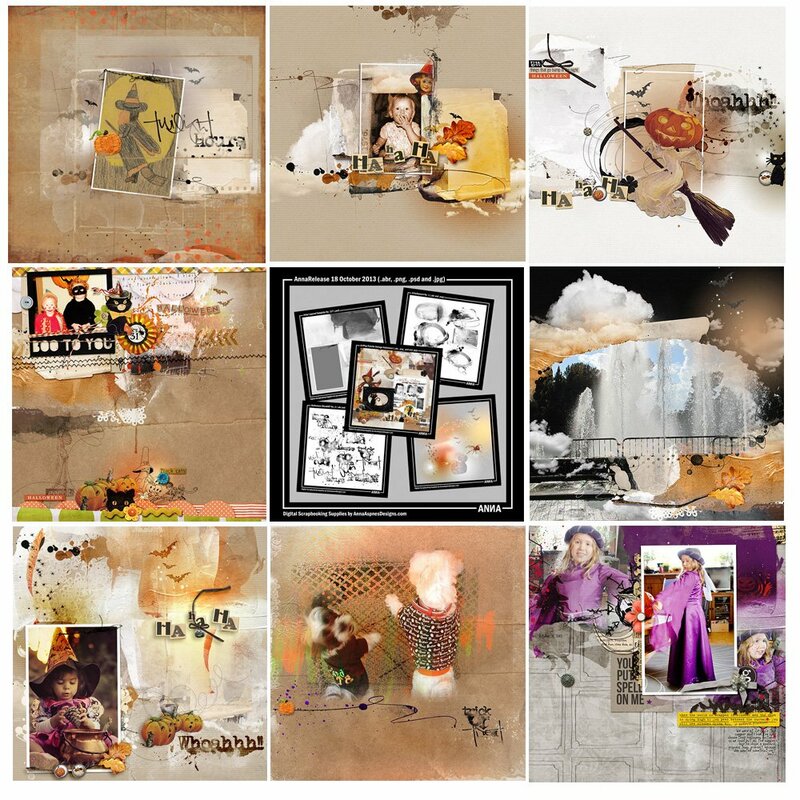 Use combinations of different textures and shapes to create visual interest. Embellish. 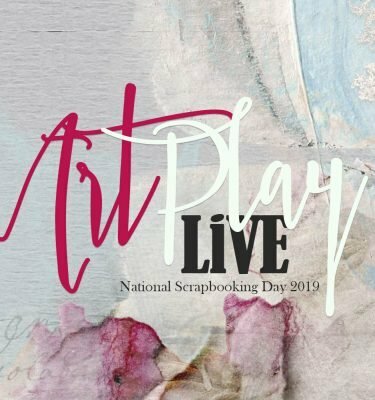 Complete your layout using Blur Artsy Elements Tutorial + Coupon with WordArt, Textures, Stitching, Artsy Transfers, Overlays and Brushes from the aA store. Invitation. 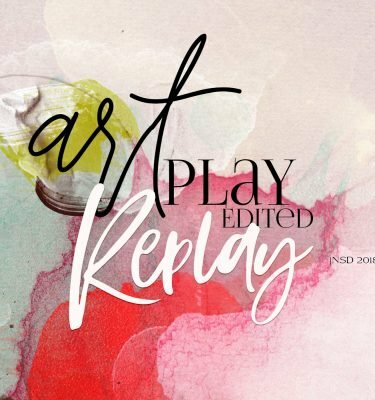 We would love to see you Blur your own Artsy Elements using this tutorial and are offering a $5 Discount on Artplay Palette Gentle Morning to help inspire you. It is such a pity that my English is not good enough to understand everything, I use no PhotoShop but PhotoShop Elements 8 and Corel PSP X8. I find it very very handsome to explain all this like Miki do. I LOVE the colors of Fall, thanks a lot Miki for this great tutorial! Your English is fabulous – Better than my Dutch 🙂 Appreciate your feedback in this space. I forgot to say: have also a Happy Fall Anna and Miki! Thank you Marleen. You too! Thank you and Happy Fall, Marleen! That is such a beautiful piece of art! 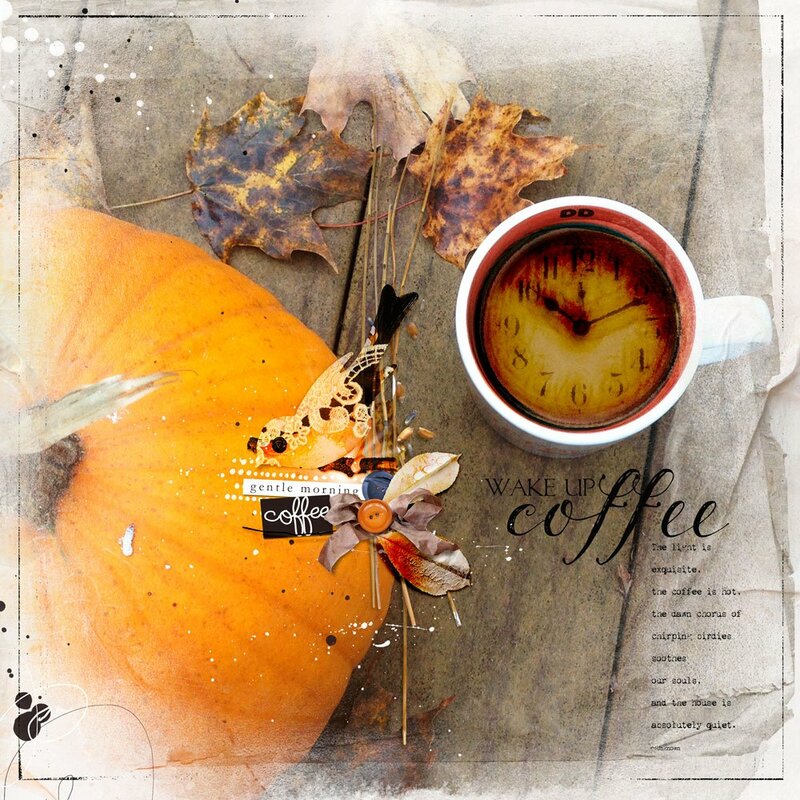 Captures a Fall morning cuppa-joe perfectly … even feels a bit like that here in Florida this morning! Unfortunately, I’m not getting the coupon to work for me. Anyone else have a problem? Try it again Diane. Should work correctly now. Just tried it again and it worked. Thanks so much. Excellent. Happy to help. Thanks for letting me know.